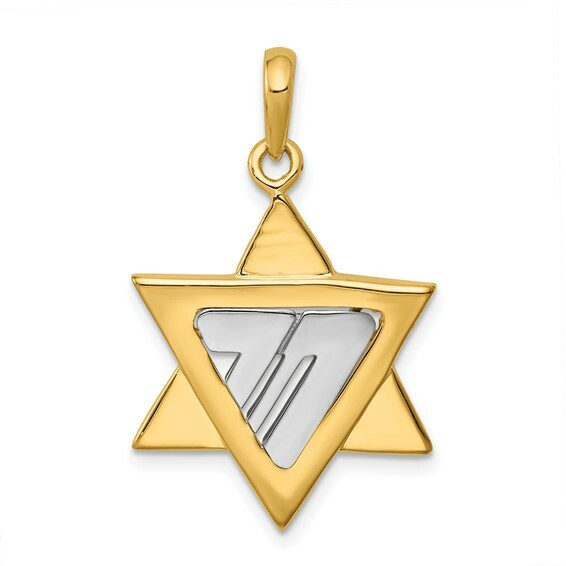 Star of David Pendant is made of polished and satin finish 14kt two-tone gold. Item size: 3/4in x 7/8in without loop and bail. Weight: 3.17 grams.